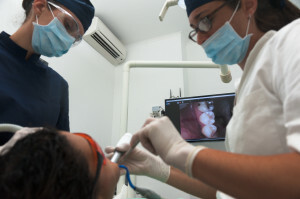 The CSO dental office in Rome provides specialized services with quality assurance. It is perfectly equipped to better serve foreign patients: our staff is able to speak English, Spanish, French, Portuguese and Romanian. The CSO dental office is located at via Mantova, 1, in the center of Rome. Please call 06.8840120 during operating hours. Or feel free to email us anytime (info@dentistiromacso.it). We also prepared to take emergency walk-in appointments.If you need to make a special appointment outside of normal operating hours, we will be happy to accommodate your needs. Please let us know how we can help. The studio is located close to Piazza Fiume and Porta Pia, in the center of Rome. Easy parking can be found in Via Sicilia, 23, via Mantova, Piazza Fiume, Piazzale di Porta Pia. Piazza Fiume boasts many welcoming features such as Hotels, Restaurants and Cafes, Shopping and is well connected with Taxi, Metro and Bus transportation. CSO brings together various medical specialists under one roof. Each of our dentists in the Center specializes in a specific field, and has highly developed advanced skills. Our patients are visited by a team of our doctors. Allowing for a comprehensive overview of the patient. Creating a professional medical team and reducing the possibility of errors, while increasing the quality of a positive end result. Our Medical facility boasts cutting edge technical equipment ensuring security, support and comfort for our patients. A dental surgery in which the patient is at the center of attention: this is CSO. Our working philosophy is that the results of treatment are to be predictable and stable over time. We work in partnership with our patients: We choose, with them the best solutions, considering the objectives and costs. We are committed to ensuring the best results and supporting them over time. We stand by our clients from the initial consultation and continue to follow their progress and support them long after we help them reach their objectives. Clear and defined costs, solutions and payment methods that meet the needs of each user: we work with our patients in all possible ways. The CSO clinical offices are very technical environments, deliberately devoid of any accessories not inherent in the course of dental therapy. The environments are constantly kept in full efficiency and cleaned with advanced hospital use disinfection materials and technologies. The equipment present in the CSO is constantly updated and represents the most advanced technologies available in the field of dentistry. Cleaning, linearity, simplicity and efficiency are the characteristics that we seek and we constantly convey. Here at CSO we have designed a special waiting room for children. We believe that this space is necessary to enable the child to relax and gradually get familiar with the premises and equipment of the dental practice. We provide games, coloring books, puzzles and toys. Creating a positive environment for children that helps them overcome, if any, fears towards dental care. 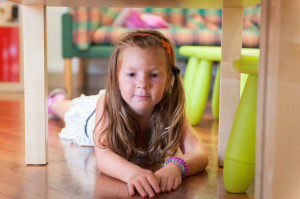 Often we play with them before entering the dental room: building a trusting relationship allowing for a more positive experience for the child. The Dental Specialist Centre was founded in 1994 by a group of dental specialists in Rome, spanning various branches of dentistry. Since then patients have been offered the possibility of a chance to be treated in the same facility by qualified experts in the dental branches ensuring the best clinical outcome for therapies. The CSO studio provides the ISO 9001 certification to cover for their services. Since 2003, every year the external auditors control our organizational processes and working methods. The pursuit of excellence is an ongoing commitment for the benefit of our patients. With us you will have no surprises. 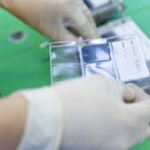 The clinical activity takes place in a perfectly controlled environment: all environments, tools and surfaces are subjected to protocols of hospital grade disinfection, supported by microbiological control and sterilization procedures and specific decontamination for the prevention of any contamination tests . We are committed to the safety of our patients. In the dental office CSO patient safety is the primary focus: the guarantee with the sterility of the instruments used for the development of therapies and disinfecting work environments. There is a Please watch our video below showing our detailed disinfection procedure. The CSO dental practice is constantly striving to achieve results of the highest level, to be chosen by those seeking the best dentists in Rome, or in general the best suited to their clinical needs. Quality certification, obtained data on clinical outcomes, sterilization and disinfection procedures at the highest level testify how we work in the CSO studio. We welcome patients from all over Italy who come to Rome for our extremely complex dental therapies . Thanks to word of mouth, we have been chosen for the guarantees we offer: safety, comfort, predictability and stability achieved in clinical treatments. We are highly skilled in all the various branches of Dentistry and all the doctors of the CSO are subjected to a constant professional updating and certification. At the CSO our fees are always disclosed before starting any therapies. Total transparency when giving cost estimates. Up front and honest, No Surprises!